Kicking things off with a mystery care package from Orbit this week, which contained these three nerdgasm inducing ARCs. It was like Christmas in June! 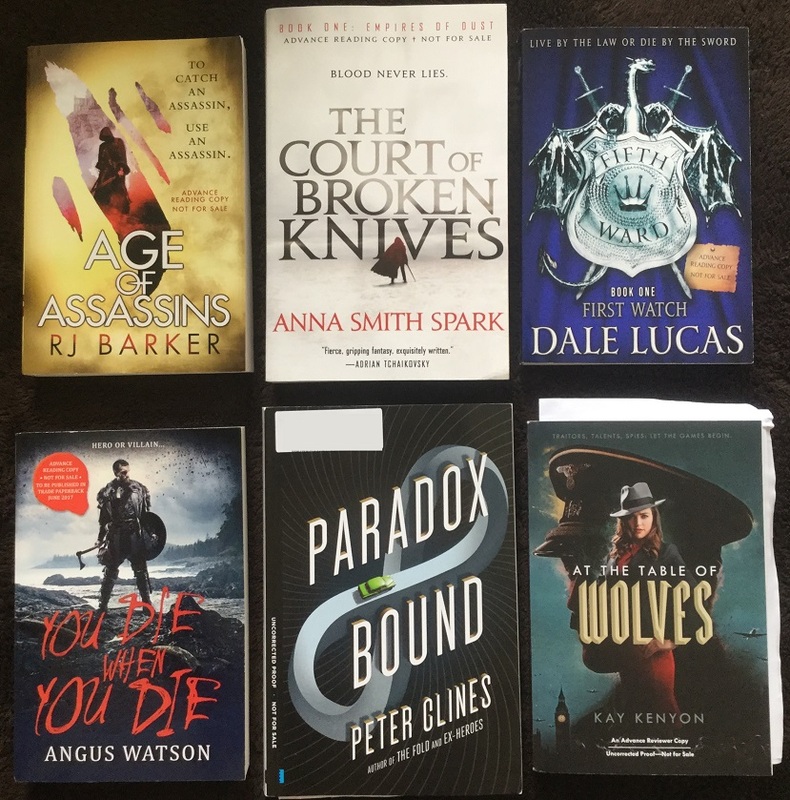 As you know I’ve featured Age of Assassins by R.J. Baker and The Court of Broken Knives by Anna Smith Spark in my Waiting on Wednesdays before, so obviously I’m looking forward to reading those. First Watch by Dale Lucas was a relatively new discovery though, but I’ve been increasingly told by fellow bloggers it’s one I should be keeping my eye on, so we shall see if I can fit it in sometime this summer. Earlier this week, I also received You Die When You Die by Angus Watson which is a book I actually requested since I’m a big fan of the author’s Iron Age trilogy. I can’t wait to see what he has in store for us next. With thanks to Orbit for these review copies. Paradox Bound by Peter Clines was another surprise ARC received earlier this month. I wasn’t even aware that Clines has a new book coming out this fall, so seeing it made me even more giddy. He writes the coolest stories, so needless to say I’m curious to see what he can do with time travel. My thanks to Crown Publishing. And rounding out the new ARC arrivals this week is At the Table of Wolves by Kay Kenyon, with thanks to the kind folks at Saga Press. This book has been on my radar for a while, so I was pretty thrilled when it showed up. Pitched as a paranormal espionage thriller, the story has been described as Tinker Tailor Soldier Spy meets the X-Men. Last week I was also pitched The Hush by Skye Melki-Wegner, and since I adore music-as-magic stories, I just knew I had to check it out! With thanks to Sky Pony Press. In the mail, I also received Transformation by James Gunn from Tor. It appears to be the last installment of a trilogy so I probably won’t be able to get to it, or at least not until I can catch up with the previous books. From Amulet I also received More of Me by Kathryn Evans, a Young Adult sci-fi novel following a teen who unwillingly clones herself every year. This one was new to me too, but it definitely sounds interesting! Thank you to the publishers for these finished copies. And huge thanks to the awesome team at Penguin for sending me The Witchwood Crown by Tad Williams and The Legion of Flame by Anthony Ryan! I’m so excited about both these books, The Witchwood Crown because it’ll be my first Tad Williams and The Legion of Flame because I had such a great time with the first book The Waking Fire. I have a feeling these two gigantic tomes will be keeping me busy for a while. Finally, with thanks to Inkshares I received a finished copy of A God in the Shed by J-F Dubeau. The release date of this one sure snuck up on me quick! I still want to read this one badly; it’s not often that I come across a horror novel so dark and compelling. 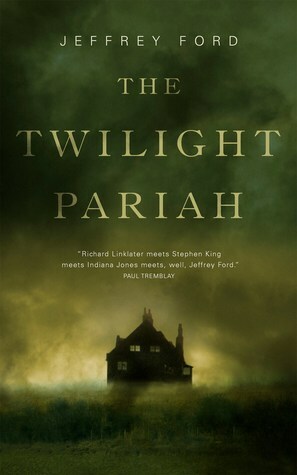 Speaking of horror, I had just recently found out about The Twilight Pariah by Jeffrey Ford and oh my goodness it sounded so good! 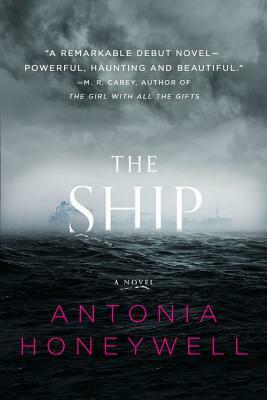 Then to my delight, an e-galley actually popped up in my inbox two days later. Huge thanks to Tor.com! I also love it when I hear from my favorite authors. 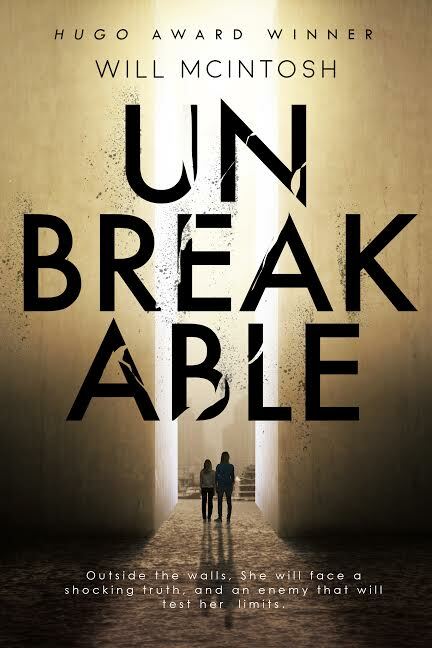 That’s how I received Unbreakable by Will McIntosh, when he emailed me to let me know he’s turning to self-publishing this summer. He was also kind enough to offer me an early review copy, and of course I said yes! Thank you so much, Will! 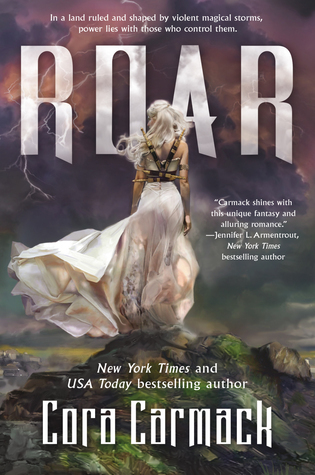 From Disney-Hyperion I was also invited to review Rosemarked by Livia Blackburne. A couple years ago I was a beta reader for Livia, and it appears she had included my name on a list of bloggers to receive NetGalley widgets of her upcoming book, so that was pretty awesome. With thanks to the author and publisher. 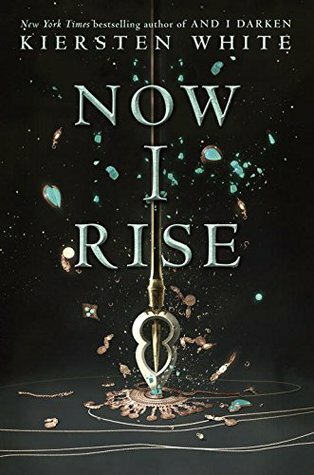 Now I Rise by Kiersten White – Last year I read and enjoyed And I Darken, a YA alternate history novel which re-imagines the notorious Vlad the Impaler as a woman. I’d known that I wanted to continue with the sequel, but now I’m even more pumped up after seeing all the fantastic reviews. I did decide to go with the audio edition this time though, mainly because I found out the amazing Fiona Hardingham is the narrator. My thanks to Listening Library for the audio review copy. 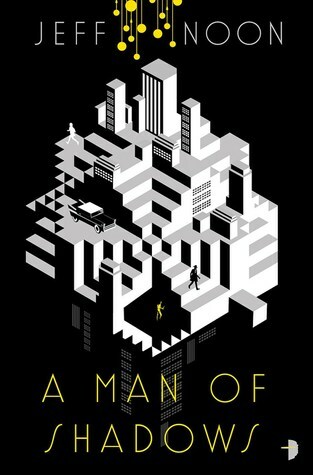 A Man of Shadows by Jeff Noon – Admittedly, it’s been a while since I’ve requested anything from Angry Robot because none of their books have caught my eye lately. However, this one was different. One, I’ve always wanted to read Jeff Noon, and two, how could I say no to a sci-fi detective mystery noir? Thanks to the publisher for granting my request. Here’s a roundup of my reviews posted since my last update. I didn’t even realize I gave out so many 3.5s! On the other hand, I also put up two five star reviews, which I guess is kinda rare but I’m not complaining. 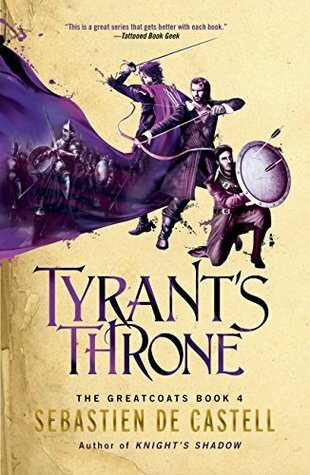 Both Children of Time and Tyrant’s Throne are great reads that I want to highlight this week. It’s been a busy two weeks, so I’m surprised that I got so many books finished, to be honest. Reviews of many of these will be rolling out soon, so stay tuned. Great set of books you got! I really want to read Now I Rise, although I need to read And I Darken first! These books are new to me! Well, except for Now I Rise. 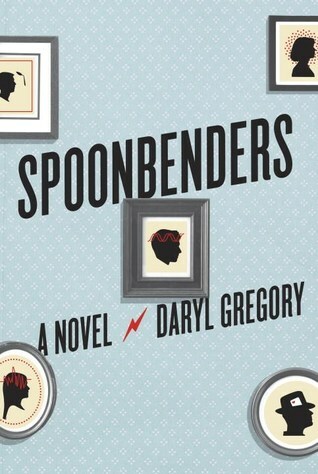 I am checking them out on Goodreads. I’m looking forward to that one! I didn’t read the prequel though, so hopefully I’ll be all right. Yeah, I’m not really one for historical espionage novels, but the paranormal elements especially the comparison to X-Men cinched it! 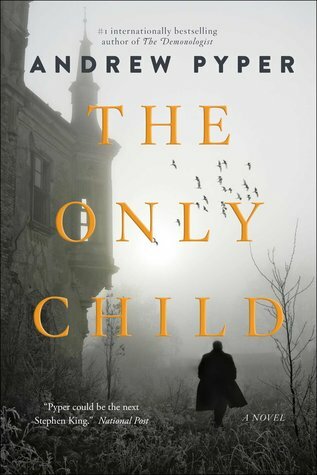 I really enjoyed Williams’ Memory, Sorrow, Thorn trilogy so I am looking forward to this next trilogy. Definitely going to wait until its finished though. Yeah, I’m glad he’s started this new series. I’ve always wanted to read his work, and this seemed like a good point to jump on board! I’m afraid I’m not familiar with any of these books though I have seen a few on other blogs and I do know some of the authors. And I darken has an interesting concept but I’m not a great fan of the author! So on those very positive notes (*grins*) I’ll wish you a good reading week! 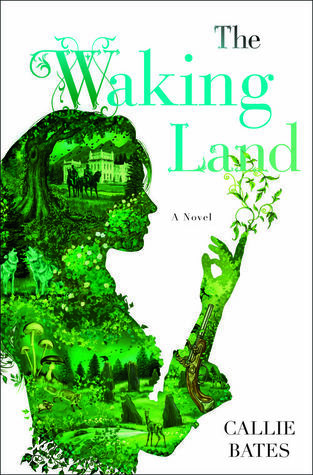 You read Waking land? How was it? Better still do you audio it and if so how was that? I had the ARC. It was good! Nothing earth-shattering with the usual war between kingdoms and nature-based magic, but it was a solid, down-to-earth fantasy story. It’s pretty straightforward, so it would probably make a good audiobook. Oooh nice! These are all new to me ones! Hope you enjoy each and every one of them! I literally don’t know where to start, such an awesome pile of books! I’m very interested in Paradox Bound and A God in the Shed. 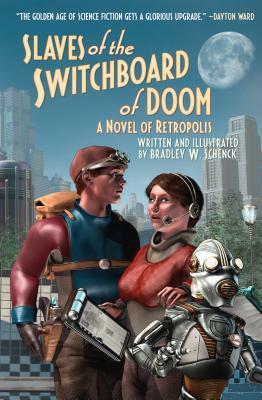 And very cool that Will McIntosh will be self publishing. I’ve always wonder why traditionally published authors do that! Paradox Bound looked pretty cool! Seems like he’s taking a break in between writing his Ex-Heroes books to write sci-fi, and if this is going to be anywhere as twisty as The Fold, I think I’ll really enjoy it! And I agree, it’s awesome when traditionally published authors decide to try self-publishing. I think Will McIntosh said he’s experimenting with it and learning the ropes while waiting for his next book with Penguin Random House to come out, since the process of traditional publishing always takes a while. Great haul! I’m really looking forward to You Die When You Die and am quite curious about The Court of Broken Knives. Also, look forward to hearing what you thought of Waking Land. I have More Me as well, and I’m curious to try it! Yeah, I hadn’t known anything about it before, but the description sounds really interesting! 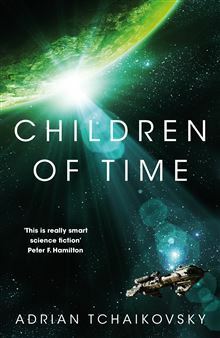 Children of Time I kinda want to read just for that cover. Age of Assassins and the new Cline book look promising. The Witchwood crown I’m really curious about because I loved Memory, Sorrow & Thorn but the recent Heart of What Was Lost bored me, which I wasn’t expecting. Have my tastes changed so dramatically since M,S&T? I’m not sure. Great post, lots of good stuff! I’ve never read Tad Williams, but he seems to be such a prolific writer and with so many loyal fans, I figured I had to be missing out! 🙂 And sorry to hear about your experience with The Heart of What Was Lost. 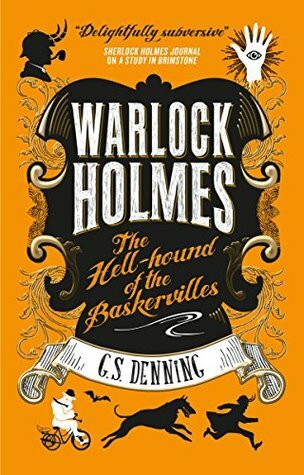 I didn’t get the chance to read that, but I hear it’s supposedly a prequel to The Witchwood Crown, so hopefully that won’t affect my enjoyment! Wow, Orbit treated you well! That’s an awesome set of books. 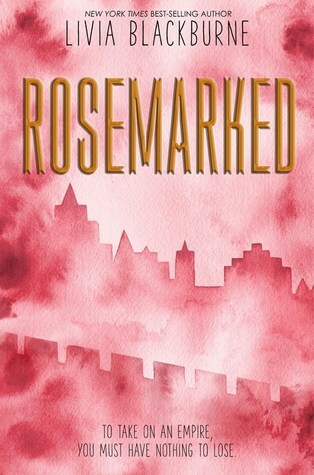 I also got Rosemarked and I’m excited to have the chance to read it early. You don’t see too many all-pink covers these days. 😀 I hope you enjoy all of your new books! The Rosemarked cover might be a bit too plain pink for me, wish it was a bit more interesting, but I do like it more than the mock-up they had been using before! Really excited to check it out too! The court of broken knives, hell yeah and while I do like the UK cover that US cover is stunning. Also, I have to admit that I tried reading a Tad Williams book last year (Shadowmarch), and I DNFed it about 70 pages in. Definitely looking forward to The Hush! 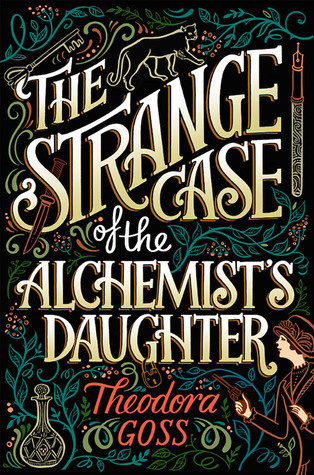 And I really enjoyed Livia’s Midnight Thief duology, which is why I’m curious and excited to check out her new project! 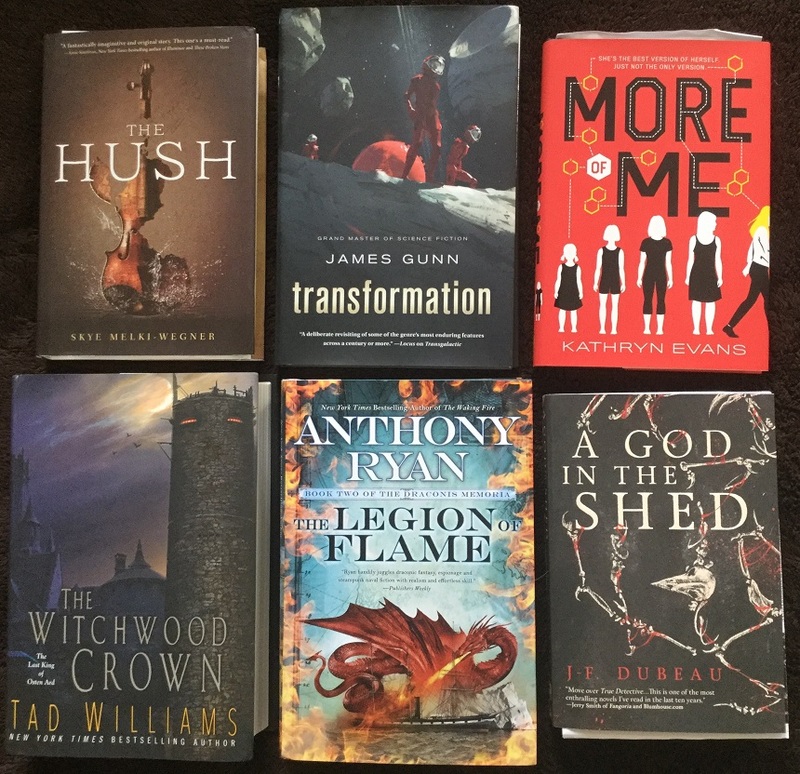 Gosh where to start – such a good book haul. I’m really looking forward to the Angus Watson book – although I feel a bit guilty because I never finished his Iron Age series – which I must do. I didn’t know there was a new Clines book out soon either so that’s really exciting news. 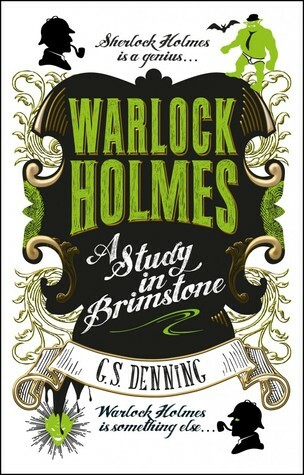 Happy reading – look forward your thoughts on the Warlock Holmes books – I liked the look of those. How do you choose what books to read next lol, so much choice! It’s definitely hard to choose sometimes! It’s tough too knowing that there’s no possible way I can read everything I want, so I do have to prioritize and I know I have to let some books go – and it’s painful, lol! This is the first I’m hearing of The Twilight Pariah. I need to add it to my list!